After many years and a whole lot of tears, The Hunger Games franchise is finally coming to a close with Mockingjay, Part 2. Which means that the debate between Team Peeta and Team Gale that's been raging ever since the franchise began is going to be settled, once and for all. So, two Bustle writers, Allie Funk and Nicole Pomarico, who adore Peeta and Gale, respectively, have decided to argue it out. Hunger Games fans, get ready: you're gonna have a lot of feelings about this. First, let's hear from Team Peeta, since, let's be honest, they make up the majority of Hunger Games fans. Here's what Peeta fan Allie Funk has to say about the Boy with the Bread. Allie: The Hunger Games is a unique series in many ways, including its ending: for once, the nice guy wins! It's like if Carrie chose Aiden (therefore avoiding getting left at the altar by Big), or if Allie chose Lon (therefore avoiding the entire painfully predictable plot of The Notebook). Although Katniss spends the first 99 percent of the Hunger Games narrative being too lost in Gale's dreamy eyes to realize that the best guy ever is literally right next to her, at the end of Mockingjay she finally comes around and sees that Peeta is her destiny. And they live happily ever after... you know, despite the massively traumatic memories and everything. 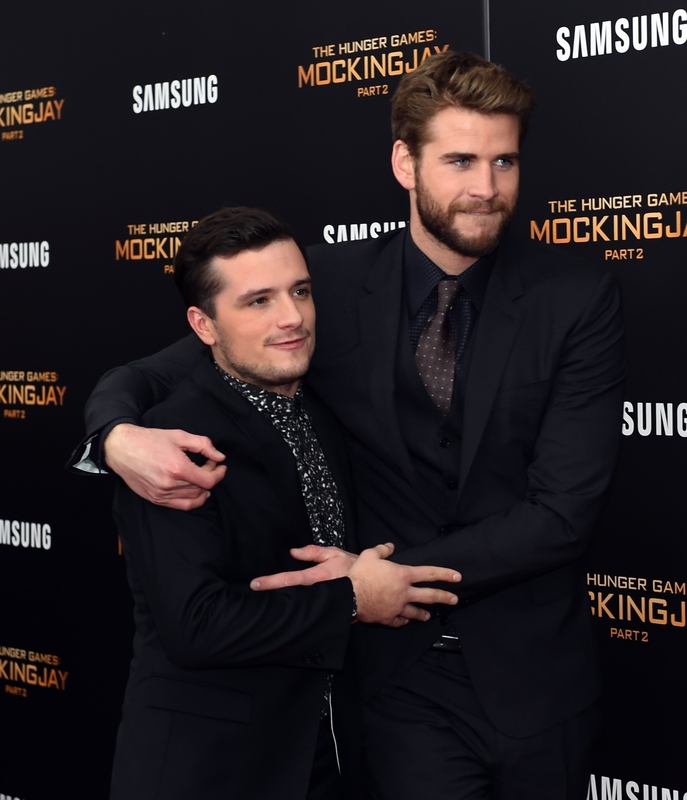 Somehow, though, despite this perfect ending, there are still some people clinging to the concept of "Team Gale." Kind of like your friend Jenny who's still pining over the guy who never called her back after "forgetting" his wallet on the first date. Although I can't help Jenny, allow me to at least help you see the light as to why Peeta is the best. For one thing, he's DTC (down to cuddle). When Katniss is having nightmares after the Games, Peeta spends multiple nights holding her until she falls asleep, without any expectations that it'll turn into something heavier. That's like if a guy invites you over to Netflix and chill and then actually greets you with a bowl of kettlecorn and the first season of Master of None ready to go. Secondly, he feeds her. Peeta saves Katniss and her family from starvation by intentionally burning the bread he's preparing so that it will get thrown outside, where Katniss can salvage it. But honestly, I don't even need the gory details to be satisfied. He gives her bread. I love bread! Carbs are the way to a girl's heart. Thirdly, he saved her life. A lot. The only other character to rival Peeta's numerous examples of self-sacrifice is probably Jack Dawson of Titanic. But then Jack freezes to death, which kind of puts a damper on the whole plan to elope with Rose. So Peeta wins! Then there's the fact that he's crazy talented. Peeta is super strong as a result of lugging bags of flour for his family's bakery, but he's also a talented painter as a result of decorating the bakery's cakes. He's so versatile and multifacted! Also, his talents are both related to food. I refer back to point #2. And finally, there's the tiny little fact that unlike someone, he doesn't play a role in Katniss' little sis' murder. OK, so this is technically more of a con about Gale than it is a pro about Peeta, but for real, it would be seriously f*cked up if Katniss chose Gale after he helped in the mission that led to Prim's death. Another tally mark in the Peeta column. Pretty convincing, isn't it? Before you make any final decisions, let's hear from Team Gale's representative, Nicole Pomarico. Nicole: There's way more to the Hunger Games series than a love story, but even so, I am firmly Team Gale, and always have been. First of all, he's Gale — he's Katniss' BFF and has always treated her like a princess. After all, if you found yourself stuck in a dystopian society, you'd want a guy by your side who's willing to hunt squirrels for dinner with you, right? Exactly. Secondly, while Katniss was participating in the games, Gale held down the fort and took care of her mom and sister, even though he had no obligation to. And when the rebellion began, Gale had no problem joining up, risking his life, and fighting alongside her... doing so despite the fact that Katniss toyed with his emotions and had her share of moments where she was completely shady toward him. But it's not just that Gale is a better person (inside and outside, because have you seen Gale/Liam Hemsworth?! That speaks for itself) than Peeta. It's just that when Peeta is the alternative, Gale is the obvious choice. Sure, baking is a good talent to have. People love men who know how to make icing from scratch, or else the Cake Boss wouldn't have his own line of bakeware. However, Gale's talents are actually useful in a war against the Capitol. Plus, he looks damn good holding a bow and arrow. Well, there you have it. Are you with Allie on Team Peeta, or Nicole on Team Gale? But let's be real here: in this "Game," everyone's a winner.